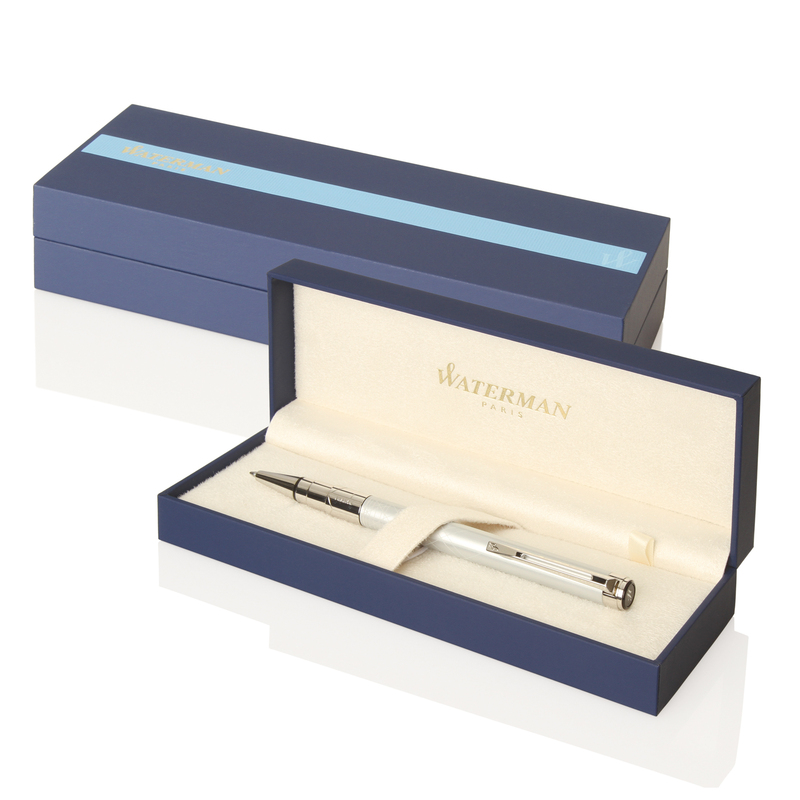 Create a powerful, contemporary combination of timeless elegance in smart Parisian style to your business day with Waterman Expert Ballpoint Pen! The luxurious cigar-shaped silhouette and fine materials, combined with striking clean lines, a slim clip, and a broad ring defines the Waterman Expert Ballpoint Pen, and with it, show executive style with a creative spirit. 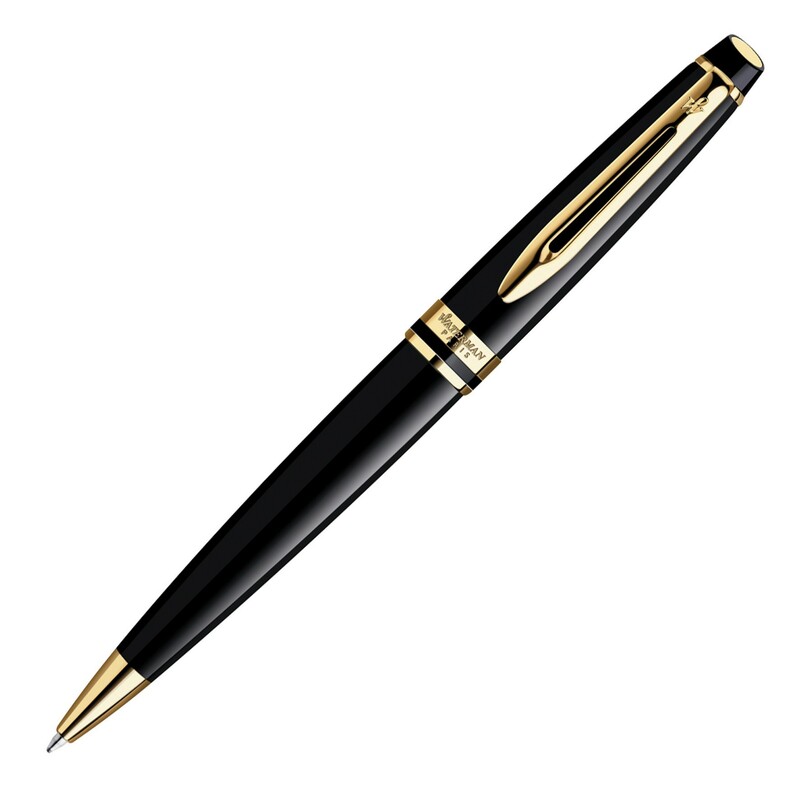 Laser engraved in gold finish, or pad printed to cap or upper barrel, this executive pen with twist action retractable blue ballpoint is beautifully presented in lacquer black with gold trim.